Three cheers to anyone who produces beer that’s what I say. And an extra cheer to anyone who produces beer to go with Indian food. So cheer, cheer, cheer, cheer to the newest addition of ‘Indian’ beers in the UK – Mongoose. It’s been out a while now but I’ve only just managed to find a pint of it. Wells & Young’s (who used to make Cobra) launched the beer earlier this year to take on Cobra and Kingfisher in the Indian beer market. It won’t be lost on you that the mongoose and the cobra are well-known fighters. Cheeky name indeed. 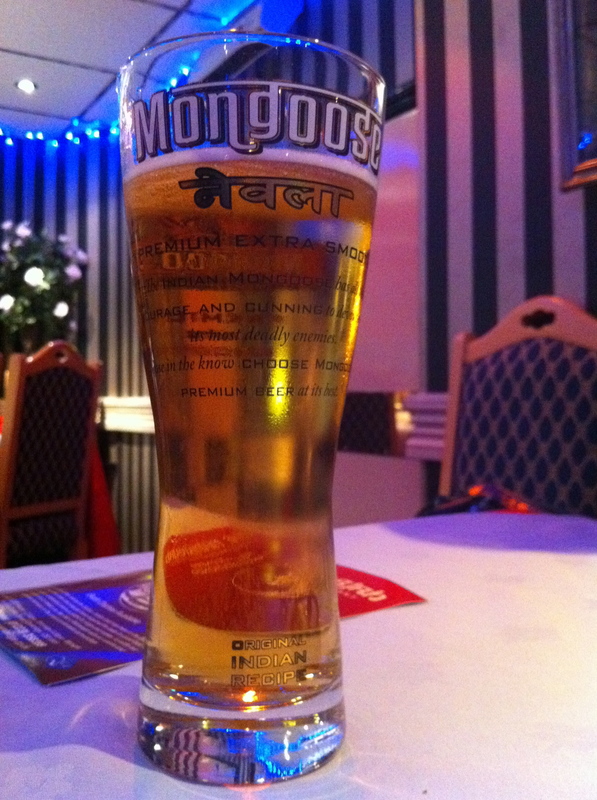 A lager, Mongoose has got a much smoother taste than its super crisp competitors so the beer will go particularly well with creamy dishes like Korma, Pasanda and, of course, the old favourite Chicken Tikka Masala. Meanwhile, another new beer, Monsoon, brewed in Christchurch, New Zealand, is also set to enter the same market, the excellent Curry Council in Manchester reports.